When Brian Williams was found to have seriously “mis-spoken”, NBC suspended him for six months without pay from their top-rating NBC Nightly News. For the average American not to be able to trust a news anchor was little short of unforgivable. And for Bill O’Reilly, top rated host of Fox News Channel (fair and balanced my arse) this was a heaven-sent opportunity to tell viewers that they couldn’t trust the hated MSM. Sadly for Bill-O, this campaign has turned out not necessarily to his advantage, and for reasons many in the UK will understand. He claimed to have been “in a war zone in Argentina, in the Falklands”, but had got no closer to the islands than Buenos Aires, which is around 1,200 miles away. Worse, his claims to have witnessed Argentinian troops shooting civilian demonstrators dead were also soon disproved. This was doubly shaming, because the video that shows the demonstration Bill-O was covering to be free of troops shooting civilians was the one on which he reported, and on which his voice can clearly be heard, together with his personal sign-off at the end. For that hated MSM, that would have been enough to have had him shamed alongside Williams. But there was worse to come - much, much worse. As the Guardian has told, “O’Reilly claimed in a broadcast to have taken part in ‘a raid’ in Ireland, and in a 2013 book, Keep It Pithy, wrote that he had seen ‘Irish terrorists kill and maim their fellow citizens in Belfast with bombs’”. Then there were “his claims of having seen four nuns murdered in El Salvador in 1980, during that country’s civil war. O’Reilly had said he saw ‘guys gun down nuns in El Salvador’ and ‘nuns get shot in the back of the head’”. Sadly, neither claim is even remotely true. 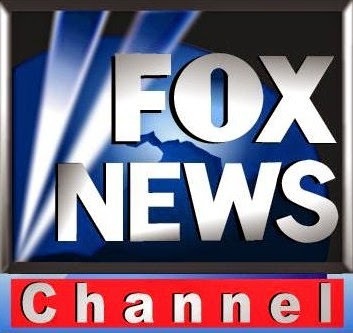 Even Fox News has now admitted this: “Fox News has admitted, in answer to questions from the Washington Post, that host Bill O’Reilly did not witness any bombings in Northern Ireland or murders in El Salvador. The network said he saw only photographs of such atrocities”. And Bill-O’s creative retelling goes back further. It was revealed last October that O’Reilly even embellished his athletic career - all the way back to when he was at High School. Bill-O claimed that, while at Marist College, he had played “Varsity Football”. But that programme did not start until after he left. He then embellished his foray into baseball. “Detailing his baseball career, O'Reilly told … about the time the New York Mets brought him in for a tryout. While at the now-leveled Shea Stadium, O'Reilly recalled brushing shoulders with another pitcher who was about 5-foot-10 and ‘threw twice as hard as me’. The pitcher turned out to be Hall of Famer Tom Seaver”, told Talking Points Memo. But he described Seaver as a rookie, and Bill-O went to Shea Stadium at least three years after Seaver’s rookie year. O’Reilly made the mistake of talking baseball, a subject which his former nemesis Keith Olbermann knows inside out. Olbermann joyfully dissected the dishonesty and concluded “I still own your head, Bill”. Any other news channel would by now at least have disciplined O’Reilly, whose tendency to dishonesty appears entrenched. But Fox will probably give him a raise instead.